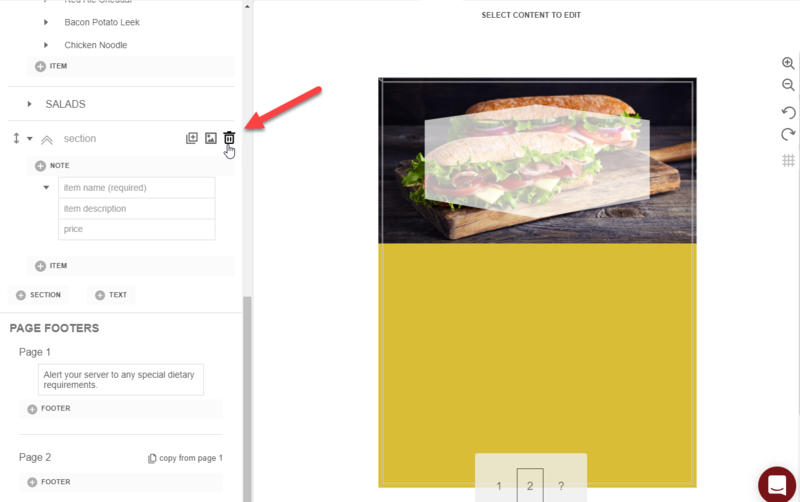 Text fields can still take up space on your menu even if there is no text entered and can often create an unwanted extra page. Remove all the extra empty text fields from the Text tab by clicking the trashcan icon as shown below, then confirm by selecting the pink 'delete' button. A blank page may be the result of inserting a text break. To remove breaks, click the Format tab, select the section on the menu preview that you'd like to move to the previous page, then click the pink remove breaks button. 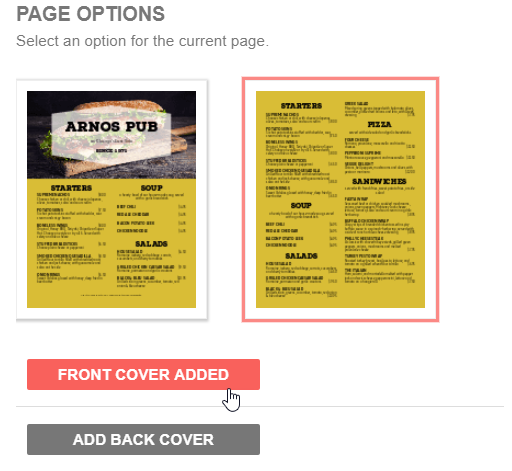 It is possible that a front or back menu cover has been turned on. To turn them off, click the Setup tab at the top of the page. If a cover is turned on, the button will display in pink. Simply click the button once to turn the cover off.